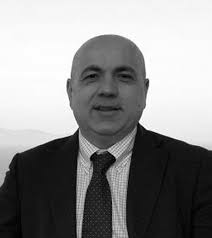 Alberto Peruzzini is the Director of Toscana Promozione Turistica, the Tourism Agency of the Tuscany Region. Graduated in Political Science at the University of Bologna, he received a Master’s Degree in Management and Development of Tourism Services at the Faculty of Statistics of the University of Bologna and a Master’s in City Management at the Faculty of Architecture of the University of Ferrara. In the last twenty years he has held various important roles in the public organization of tourism in Italy; he carries out consulting and teaching activities on the topics of destination marketing, in Italy and abroad. He is a member of institutional organism for the study and the development of the tourism sector. He is a destination manager by profession; a storyteller for passion. Born in Pesaro, he has been living in Tuscany for almost twenty years.